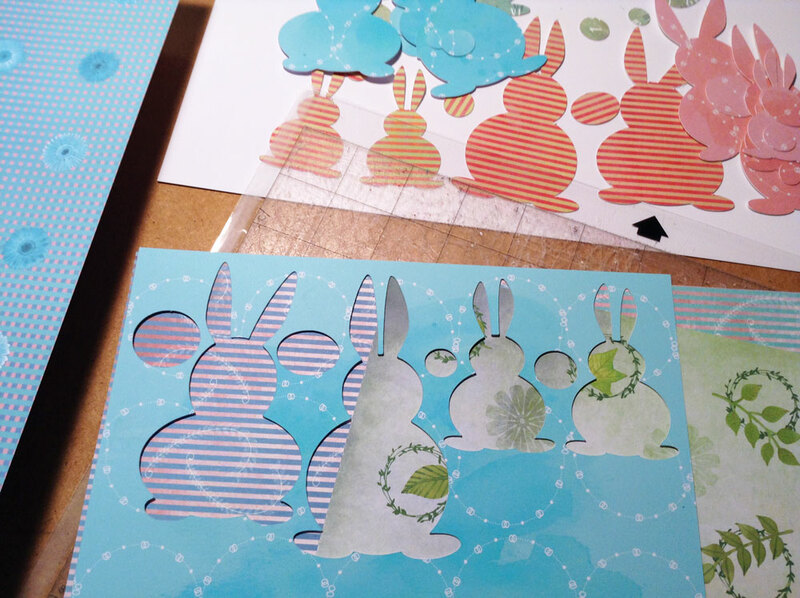 This is a file I created for the course I gave in February here in Germany ( where the Silhouette cutting machines are just getting popular) to show the basics of Silhouette Studio with the example of making popup cards. 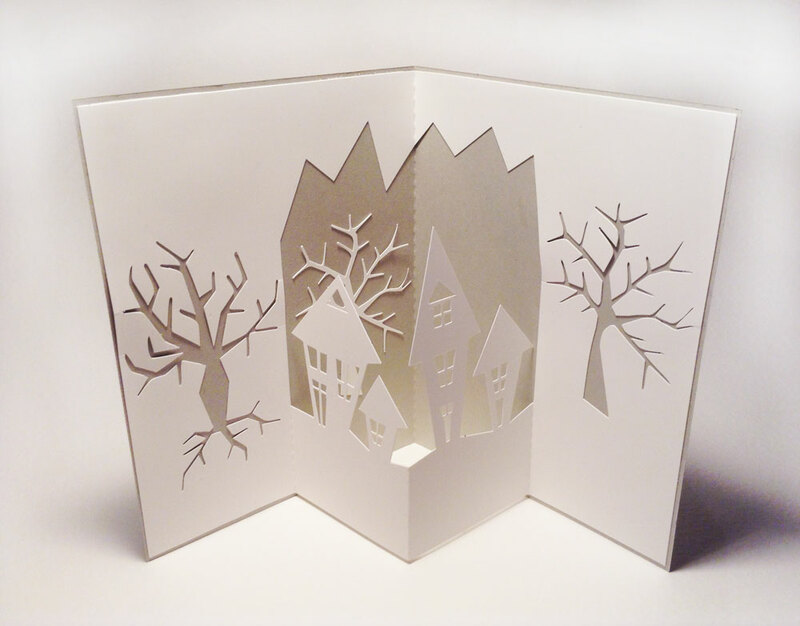 You have to make dashed lines exactely at 1/4, 1/2 and 3/4 of the card. Then you can design the inner part just as you like to pop out. 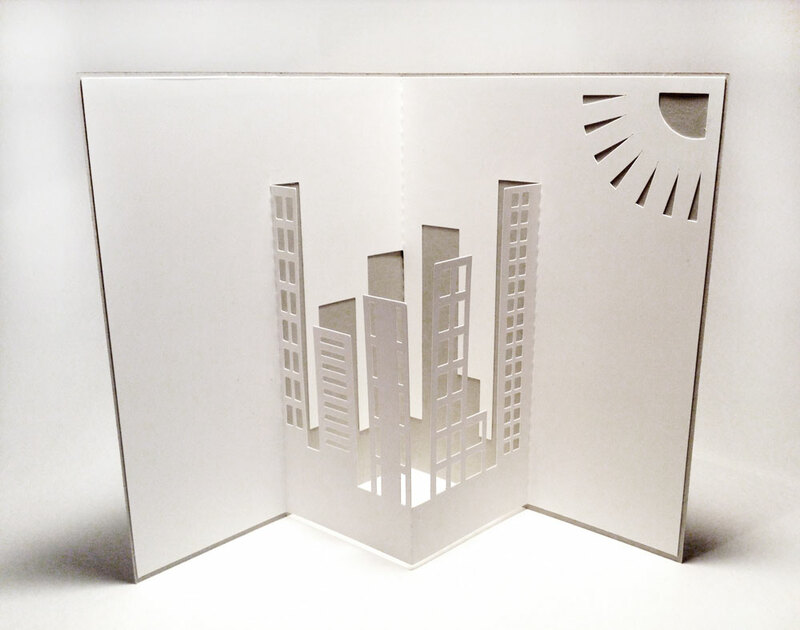 We made a simple sky scraper card to practice the drawing tools and replicating. 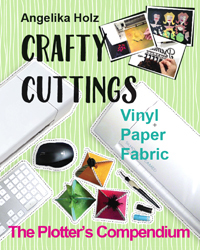 There are so many designs for your electronic cutters for sale and also for free. Anyway I find it cool to make my own designs and I encourage everyone to do this, too. 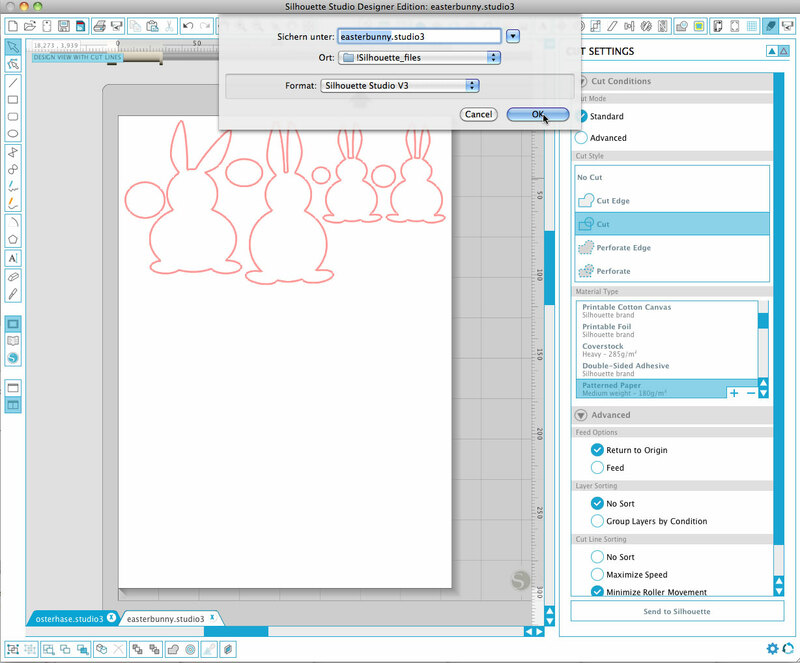 SilhouetteStudio is a perfect tool and with some simple steps you got something with your own personal touch. 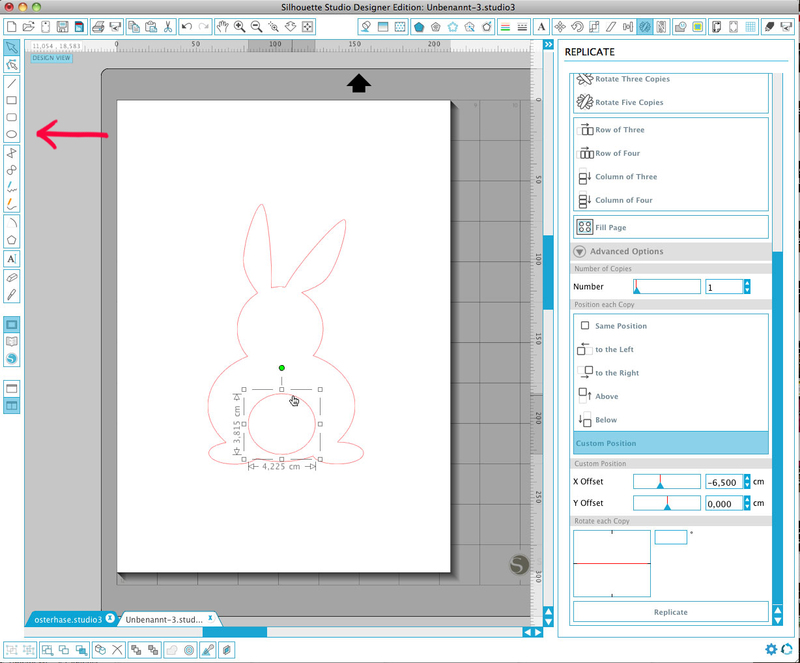 With easter ahead I show you how to make a simple but cute bunny shape to be used for all kind of crafts and gift packaging. 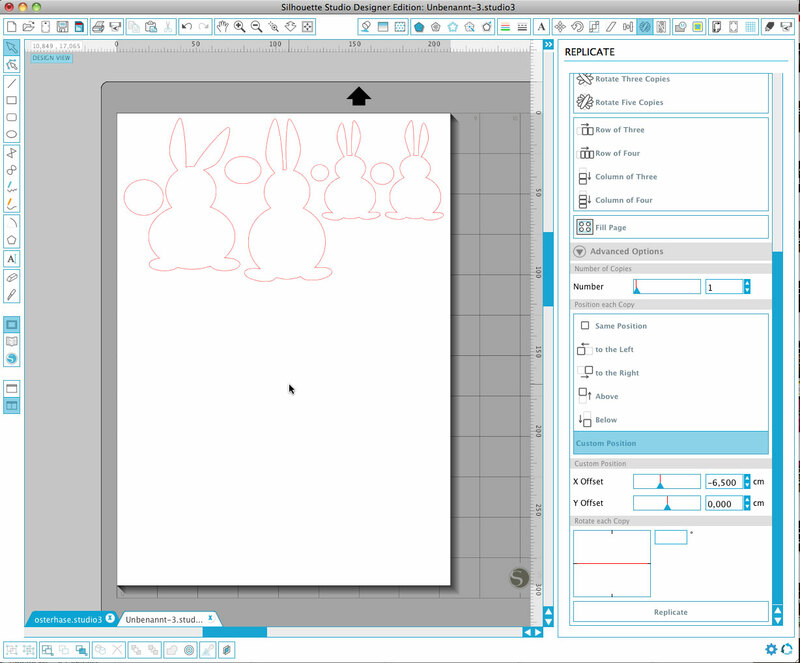 You open your SilhouetteStudio, chose your mat and paper size. Select the “draw an ellipse” tool and draw an ellipse by dragging the mouse to the size and shape you like. This will be the body of your bunny. Then draw another ellipse or circle slightly overlapping. This will be the head. Draw another little ellipse which makes the foot. 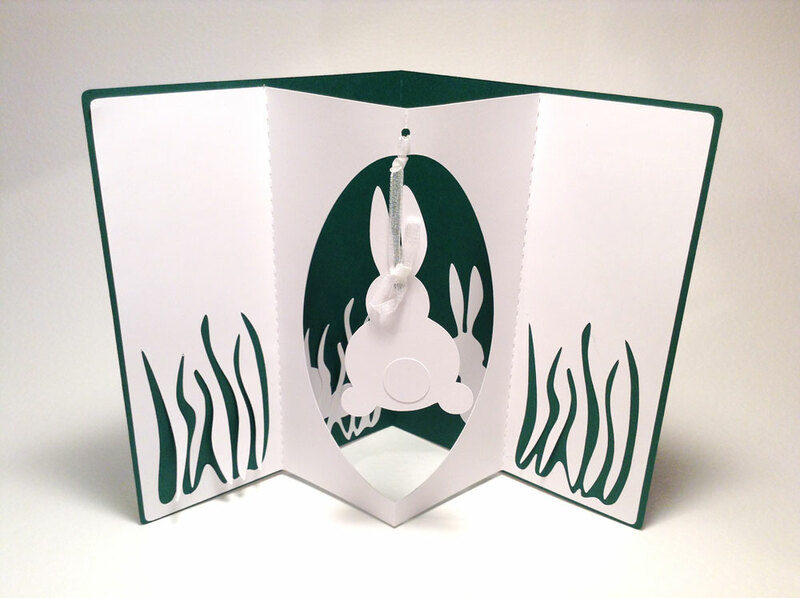 Then open the Replicate Window. This is the one on top, that looks like a little flower. 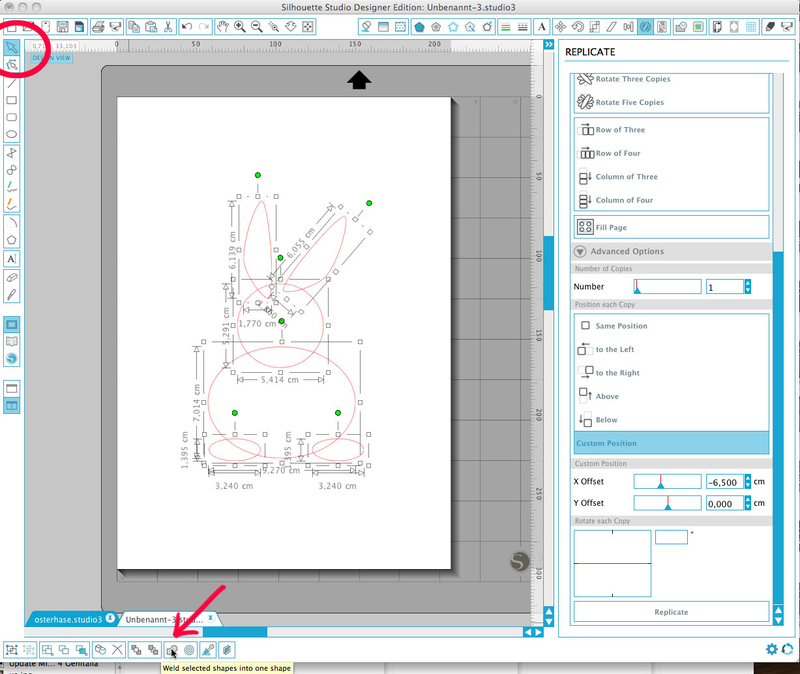 With the foot selected chose “custom position”, set the x Offset to -6,5 cm ( or 2.5 inch) and click “replicate”. If the second foot is not perfect in position you can adjust it now. Be aware it is not about perfection. All those little irregularities are giving your drawing that personal unique touch. Now we’re going to draw the ears. Select the “draw a curve shape” tool and click once left top into the head circle. Go a little higher and to the left, click, go higher to make the top of the ear and click. Then go down to the start point to close the shape. Do the other ear the same way. Select the right ear and with the little green dot you can rotate it. 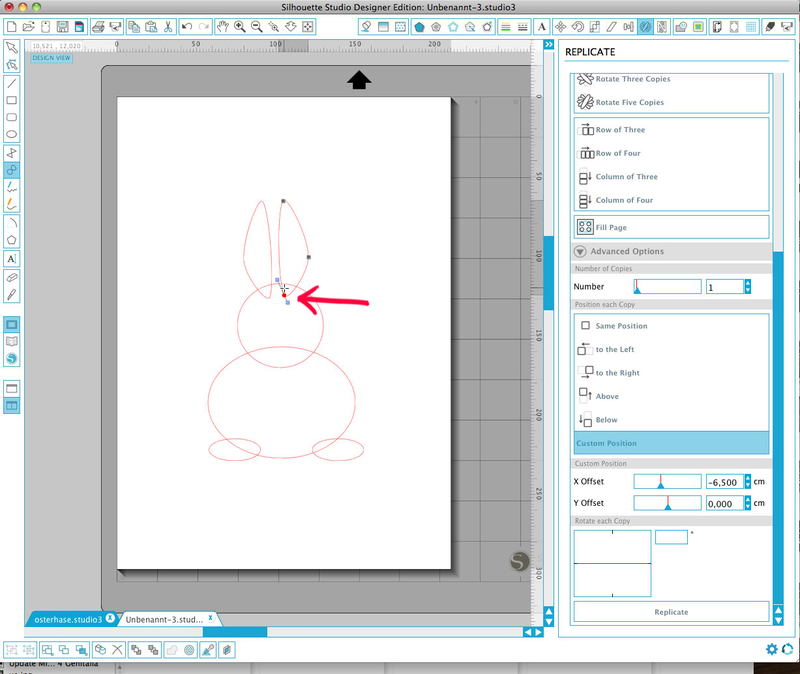 Then move it more to the right so the ears do not overlap. Make sure you’re in “edit” mode. 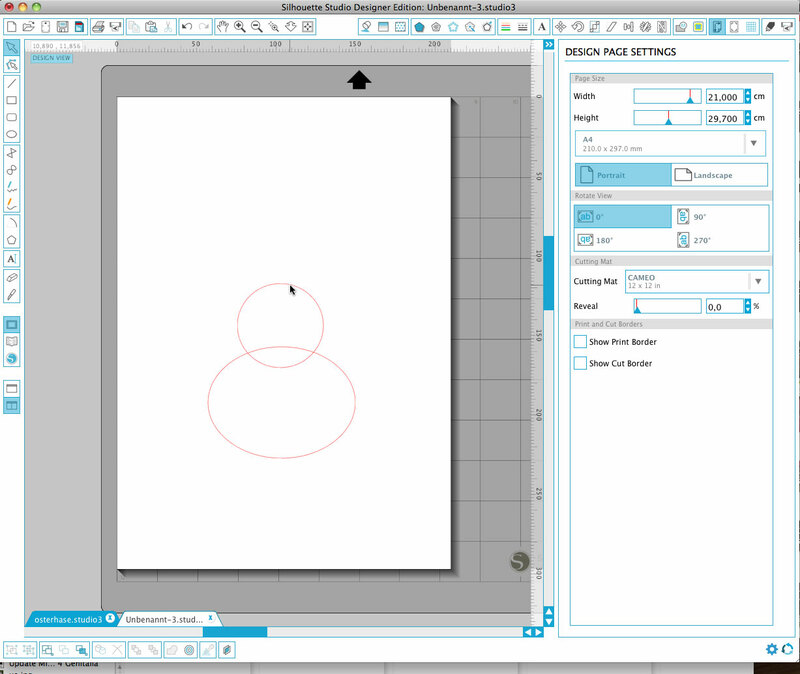 Draw a big frame around all your drawing/shapes to select them all. Then click the “weld” function at the bottom left of your screen. This will weld all your shapes to one silhouette. Draw a circle for the tail and move it away from the main shape. Otherwise you will get a big hole instead of a cute tail. 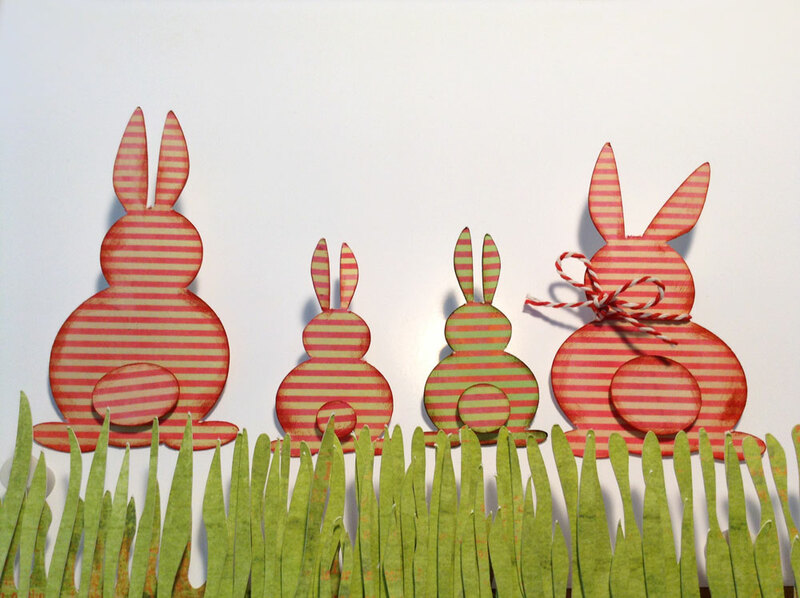 Now that you know how to draw easter bunnies why not make a whole family? Make sure the lines are set to cut. 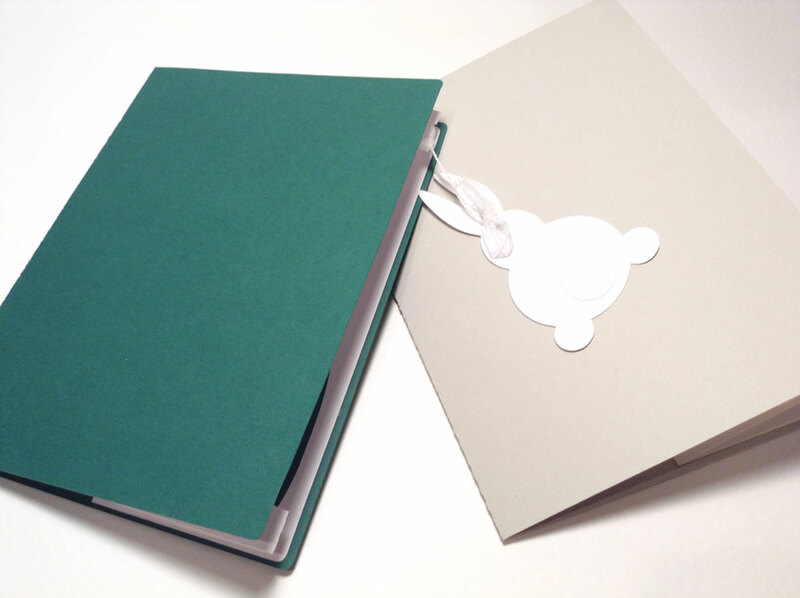 Chose the material in the material type window and adjust the settings and blade. 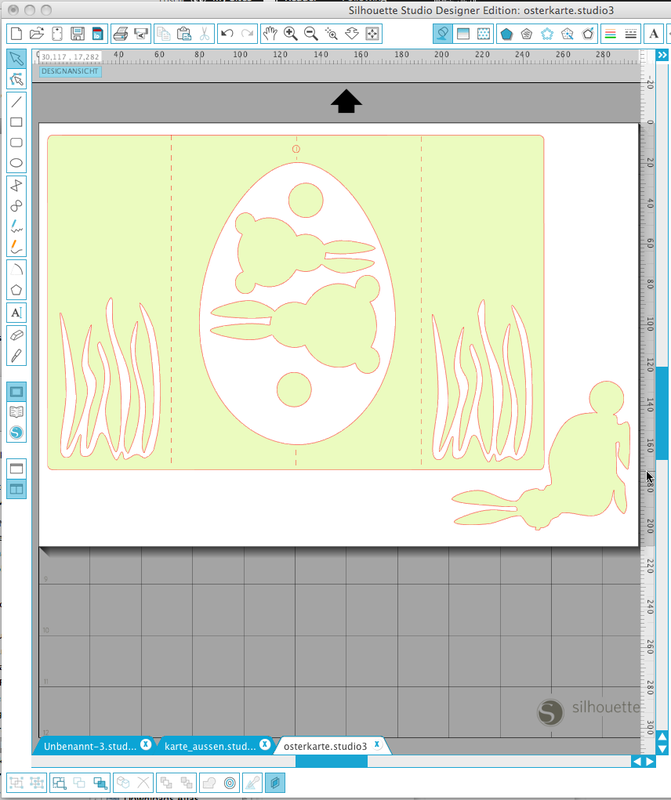 Load your mat with the paper into your cutting machine and send to Silhouette. 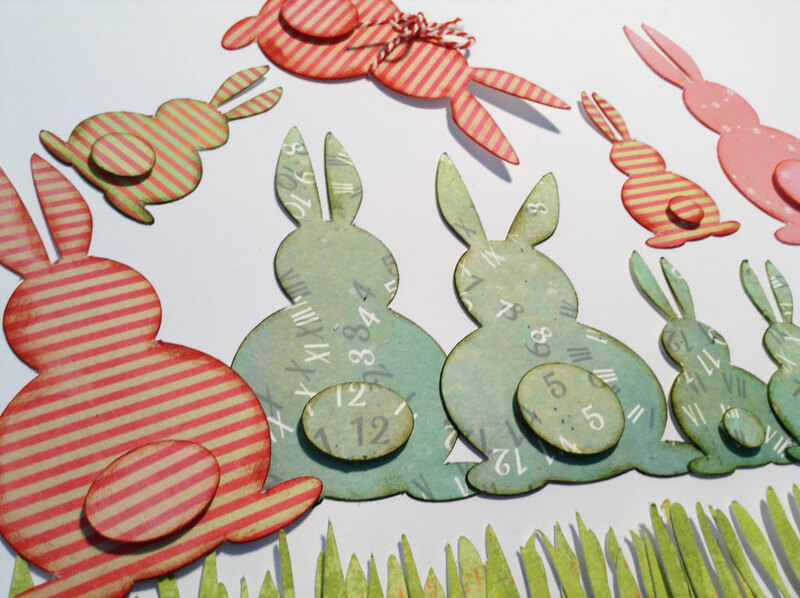 Once you have cut one set you can use the waste as a see through template to chose patterned paper and see in advance how the bunnies will look like, very handy for big patterns.